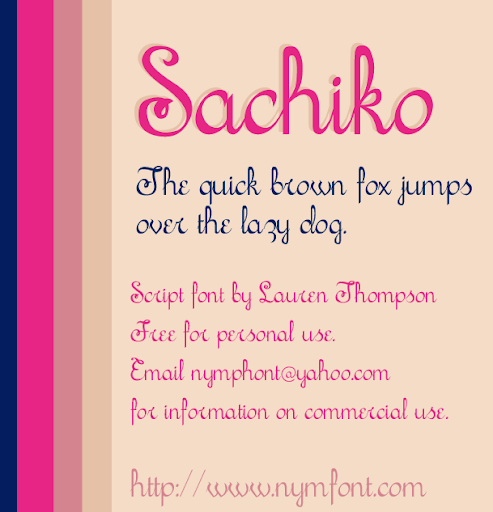 Introducing to my blog visitors, "Sachiko," my first script font. Inspired by all the lovely French scripts that have come before, and named after a high school friend of mine. 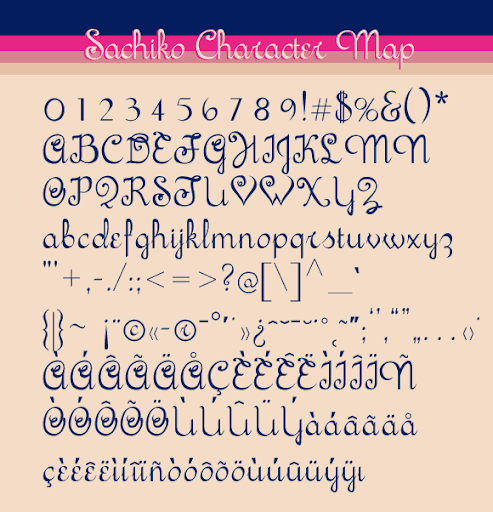 If you do use this font I hope you like it! It was fun to make and I am pretty happy with how it turned out. I would love to hear your thoughts on this font so feel free to leave a comment below. Thanks so much, enjoy!